What are you doing to celebrate Halloween this year? This year I decided to make my first ever pumpkin pie. 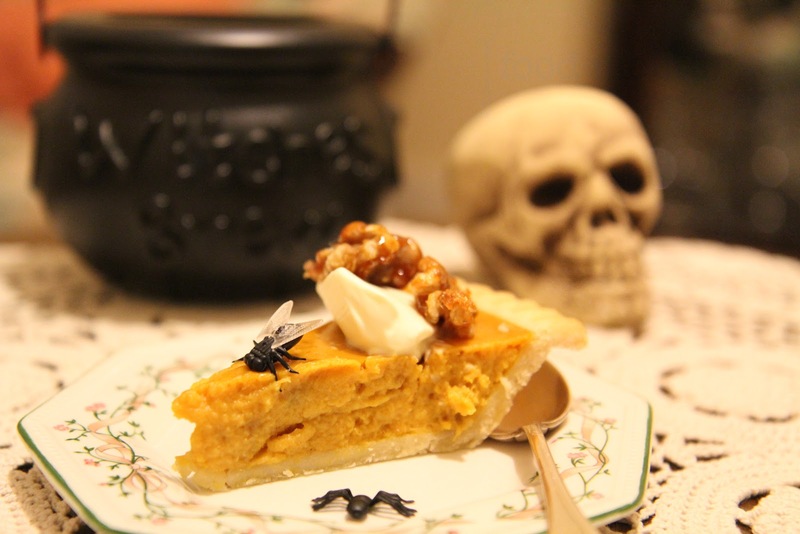 An American favourite, pumpkin pie is most popular during the holidays leading up to Christmas, namely Thanksgiving and Halloween. Speaking of all things horror and spooky - Pete and I are currently addicted to watching The Walking Dead - a popular American television series based on the comic book series The Walking Dead by Robert Kirkman, Tony Moore and Charlie Adlard. 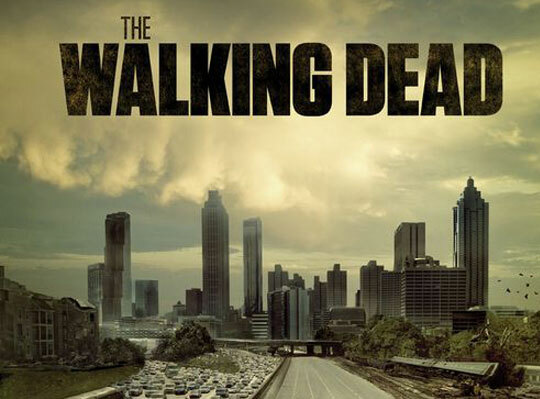 The series is based around sheriff deputy Rick Grimes, who awakens from a coma to find the world has been taken over by flesh eating zombies referred to as 'walkers'. He sets out to find his family and discovers survivors along the way. We are currently half way through the second season and it's pretty addictive. The best part of this recipe is that you don't have to worry about making your own pastry. Home-made pastry is simply divine, and where possible I like to make my own. But let's face it - we don't always have the time (or patience). Besides, there are fancy dress parties and other spooky things to be enjoyed. 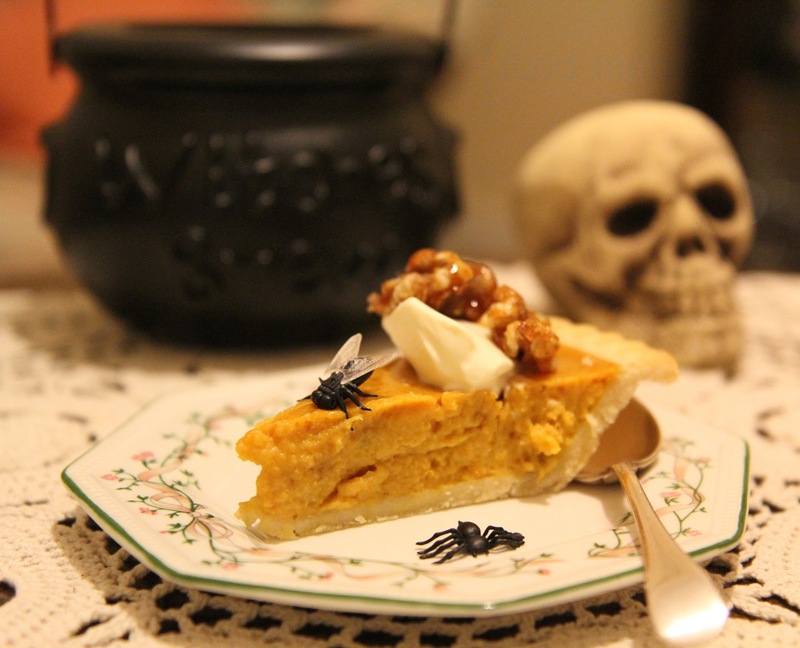 This simple, no fuss traditional pumpkin pie recipe will get you in the mood for all things ghoulish! Flies and spiders are optional. Toss pumpkin in oil, cinnamon, ginger and cloves and arrange the mixture in an even layer on a baking tray that has been sprayed with a little cooking oil. Bake for approx 1 hour or until soft and golden brown. Once cooked, blend the hot pumpkin in a food processor until a smooth puree forms. You can add a little of the cream if you need to to help the pumpkin blend. Set aside to cool completely. In a large bowl lightly whisk the eggs and then add the brown sugar and salt. Add the cooled pumpkin puree and whisk to blend well. Whisk in the ( remaining) cream, and pour pumpkin mixture into the prepared crust(s). Carefully place the pie on the bottom shelf of the oven and bake for about 1 hour or until the filling is just set and the crust is pale golden brown. The center will still look wet and a knife inserted about 1 inch/2.5 cm from the sides of the pan will come out almost clean. Transfer the delicious pie to a rack and cool completely. Heat a heavy large pan over medium heat until it is hot. Sprinkle sugar evenly over the base of the pan and cook until it melts. Add the nuts and coat with the sugar syrup,tossing until the syrup turns golden brown and the nuts start to clump together. Transfer nuts to a sheet of parchment paper and allow to cool. Once cool, break up the nuts into chunks and place in an airtight container until you are ready to serve the pie. Top each slice of pie with a dollop of cream and a few candied nuts. That looks so good. I've always wanted to try pumpkin pie. A very luscious looking pumpkin pie. Particularly like the blow fly decoration! Great post - thanks for sharing. I don't know if you got my last comment (please feel free to delete if you did) :) I wish I could get into The Waking Dead but zombies actually scare me! Unlike vampires-I think I could live life as a vampire :) Happy Halloween and your pie looks gorgeous-love the praline!